How to prevent damage your home’s plumbing and appliances caused by hard water. | Gold Water Group Gold Water Group - specialists in drinking water filtration and whole home water softeners 1-866-222-9308. How to prevent damage your home’s plumbing and appliances caused by hard water. ARE YOU EXPERIENCING THE FOLLOWING WATER PROBLEMS? Chances are you are dealing with Hard Water in your home. The CWQA lists Hard Water and Hard Water Stains as one of the major problems home owners face with their water quality. Hard water can be very tough on your plumbing. 90% of homeowners that live with the burden of hard water have probably already noticed some of the effects of it. Ordinary water used in homes have minerals like calcium, lime, and iron. If there are too many of these minerals present in the water, they will build up over time. This causes your water flow to decrease and can cause other plumbing troubles such as more frequent clogging and scale deposits. The more you know about hard water and its effect on your plumbing and fixtures, the more you can do to prevent it. 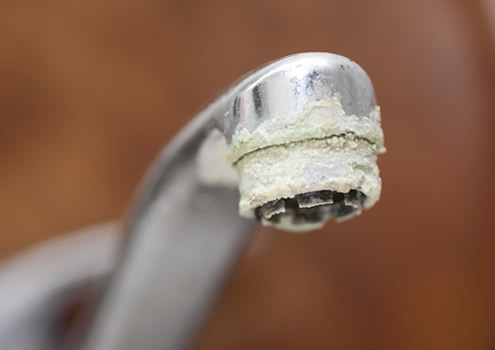 Hard water can damage pipes, showerheads, faucets and appliances over time because of the buildup of lime and calcium. As time goes on these deposits can clog the pipes, faucets and appliances. In most cases, you either have to use a harsh chemical solvent to either get rid of this mineral scaling or replace the pipes and appliances completely. Faucets that drip can leave hard water stains on your sink that are very difficult to eliminate. Hard water can also clog the inside of the faucet, causing clogs and other problems. If your pipes are prone to clogs, hard water will only increase the problem and most commercial drain cleaners have no effect on mineral buildup. To reverse the damages of hard water and to prevent new damages, the best thing you can do for your home is install a Water Softener or even better a whole home Water Conditioner. A whole home water conditioner will give your home soft water throughout and will clean out your pipes, faucets, and appliances making them like new! Consider having a reputable company come to your home to do a complimentary water evaluation to test your water and check for HARD WATER in your home. Always keep in mind a fair and honest water treatment company will never charge you to come to your home to do a complimentary water evaluation. 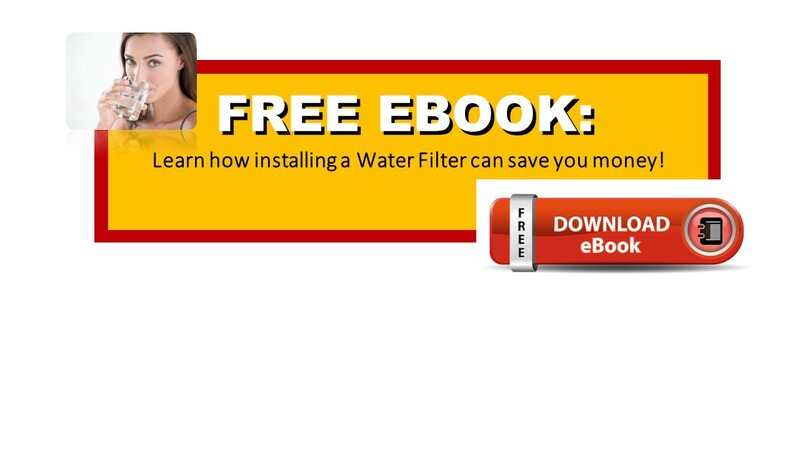 For more information think about downloading the FREE eBook on how to save money by purchasing a water filtration system shown below. This entry was tagged Barrie Ontario, Eagle Reverse Osmosis, Gold Water Group, Hard water, tannin removal unit, water filter, water purification, whole home water conditioning. Bookmark the permalink. ← With Gold Water Group cloudy, murky water shouldn’t be a problem anymore.